New hardware will protect servers and network hardware that make cloud computing possible. In an effort to better compete against Amazon and Microsoft in the cloud computing space, Google will this week reveal the technical details of its new Titan computer chip designed to protected the data centres powering its cloud services. Apparently the chip is the size of a small stud earring and the search company has already installed it in many of the servers and network cards that comprise its own massive data centres. Titan scans network hardware to detect if any unauthorised changes have been made and if so the chip will prevent it from booting up. As most servers and other network hardware is made overseas, data centre operators have become increasingly concerned that nation-state hackers or cyber criminals could compromise devices before they are sent overseas. Google's Titan chip addresses these concerns through its continual checks which provide additional security to cloud computing hardware. 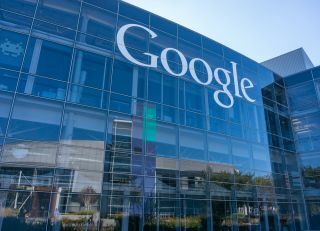 Currently Google controls just seven per cent of the global cloud market putting it in third place behind Amazon with 41 per cent and Microsoft with 13 per cent. The company's new Titan chip could help set it apart from its competitors and bring more security-focused companies to its cloud computing platform. Google is expected to reveal the full technical details of Titan in a blog post on Thursday.